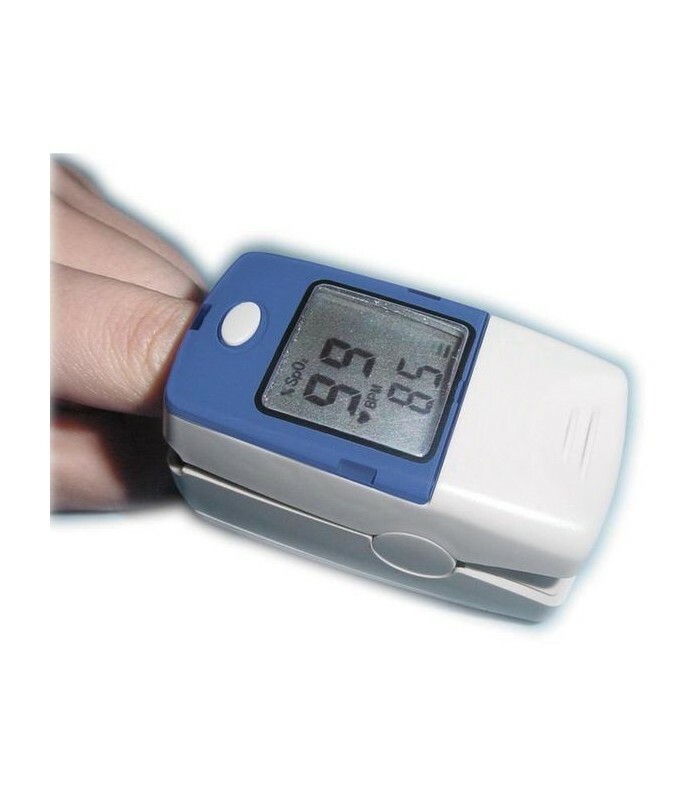 Finger Pulse Oximeter with color display OXY 5. 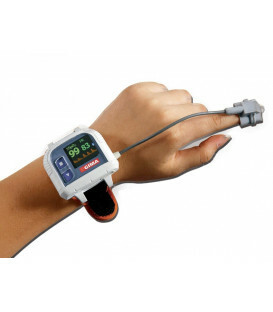 Allows the detection of oxygen saturation and heart by the finger of the patient: small, light, easy to use is ideal for hospitals, medical centers, home care and after sports activities. 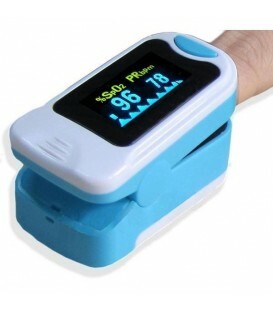 Finger Pulse Oximeter with color display OXY 5. Many of the respiration can cause hypoxemia endangering the health of the patient. E 'therefore essential in clinical procedures to maintain SpO2 monitored. The traditional method of measurement of 'SpO2 is consists in the analysis of a blood sample of the patient, so as to obtain the oxygen partial pressure and calculate the' SpO2, using a suitable gas for analysis. 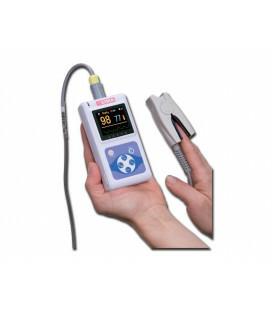 In order to measure the SpO2 more easily and accurately, has been developed by the pulse oximeter finger. The product is convenient to use and carry (only 50 gr. Batteries included); can also measure the heart rate. Oxy5 The device is compact, reliable, besides being characterized by a low energy consumption. Specifically, two AAA batteries provide a 'time of around 100 hours. 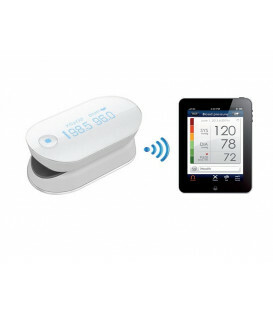 The oximeter is able to simultaneously monitor SpO2 and heart rate. Allows the detection of oxygen saturation and heart by the finger of the patient: small, light, easy to use is ideal for hospitals, medical centers, home care and after sports activities.